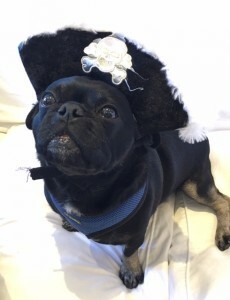 Can You Help Penny P Pug On This Exciting Pirate Treasure Hunt? Do you love an adventure? 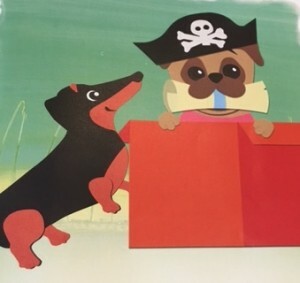 So join Penny P Pug and her big brother Digger the Dachshund on this exciting Pirate Treasure Hunt. Penny P is a curious, cute little puppy who loves to play. Every day is a new adventure and today she is going on a treasure hunt. Join her to jump over crocodiles, find a pirate ship and an island and a bed that is not meant for sleeping, eat treats and make a big mess with mud. 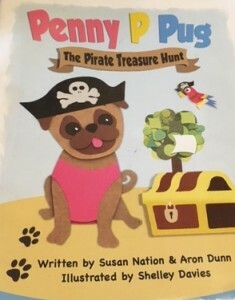 Maybe you can help Penny P and her big brother Digger stay on track, solve the 3 different clues and sniff out the buried treasure. 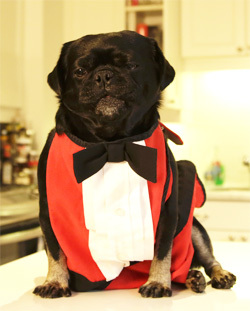 Press play on the video below to Read Along. 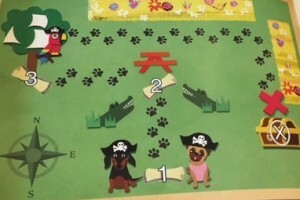 Do you like playing pirates and solving clues like in Penny P Pug and the Pirate Treasure Hunt? 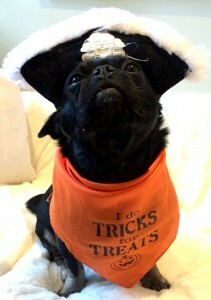 I sure do, especially at Halloween? 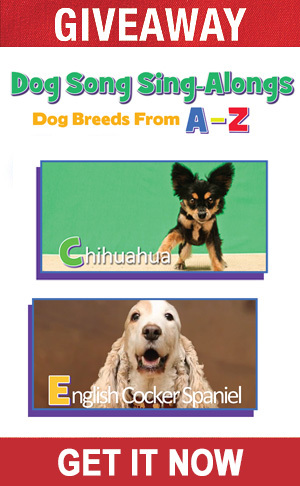 I can’t wait until we print up this book and I think I’ll make my own treasure hunt too. If you want help making a map and designing a treasure hunt, check out our How To.